As gaming industry has evolved over a period of time computer has no longer has seen as device to perform official purpose. Companies have also started investing heavily for improving technology and provide more powerful graphics with high end CPUs. Here is is great news for Indian gamers. AMD Radeon R9 GPUs to deliver a fully immersive VR experience for future Oculus Ready PCs. AMD announced a collaboration with Oculus and Dell to equip Oculus Ready PCs with AMD Radeon GPUs, starting at $999USD. The powerful PCs are designed to deliver stunning gaming performance and enable spectacular VR experiences for consumers around the world by leveraging AMD’s VR leadership with LiquidVR™ and Graphics Core Next architecture. "It’s an exciting time to be at the heart of all things Virtual Reality,I’m confident that with Dell and Alienware, we can enable a wide audience of PC users with extraordinary VR capabilities powered by AMD Radeon GPUs." In March, AMD announced an initiative to deliver the ultimate VR experience for developers and users enabled through AMD LiquidVR technology. AMD LiquidVR enables low-latency VR performance that maintains reliable comfort during your VR experience, and plug-and-play compatibility with VR headsets. AMD GPU software and hardware subsystems are a major component in making AMD LiquidVR™ a reality and in turn allowing for developers and content creators to enable a life-like presence in VR environments. Well really specking I cannot wait for watching the result of this tie up on gaming world as whole. 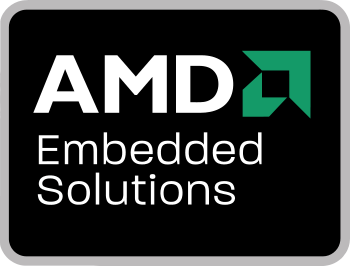 Let's see what AMD and DELL has about to unveil in near future. That's all for this update. Have any query or suggestion do let us know in comment below. Thank you for reading.